India is a country with a rich cultural diversity, and the festivals celebrated here are indispensable to its cultural heritage. Each festival has its own importance, spreads the message of brotherhood, and reflects the diversity of the country. April, in a word, is the month of a rebirth, a renaissance, a new beginning in the field of agriculture. In the month of April, the subcontinent celebrates several festivities of joy, many of which are harvest festivals. This is the time when farmers are ready to harvest their Rabi crops and are in a joyous mood. Festivals in April in India are many; this is also a period when the freshness of spring scatters mist all over the country, and people start to celebrate their native cultural uniqueness through their festivals. Here, we have listed down a few popular festivals in April in India. Witnessing and celebrating some of them would be a real treat enriching you through a cultural experience. Bihu is often termed as the prime festival of Assam, which has its roots in agrarian society and shows devotion to Mother Nature. It is categorised into three parts- Bohag Bihu, Kati Bihu, and Magh Bihu. Bohag Bihu, which is also termed as Rongali Bihu, is celebrated in the month of April throughout Assam. Bohag Bihu is a magnificent gala festival that brings in hope and ushers in the settling of a beautiful season. The Bihu dance, Bihu songs, delicious Assamese delicacies, along with other traditional rituals add spark to this merriment. Bohag Bihu also marks the beginning of the Assamese New Year. 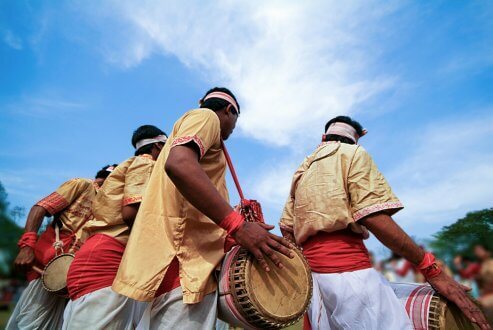 If you are planning to be a part of the celebration, you should plan your visit to Assam during the month of April. Assam is easily accessible through roadways, airways and railways and book your stay in assam hotel. Baisakhi is one of the most important festivals celebrated in April. This harvest festival is mainly celebrated in the Punjab state, but it has historical and religious importance as well. It is observed on April 13th or 14th April on the pious occasion of the Sikh New Year. Also, on this day in 1699, Guru Gobind Singh; the 10th guru of the Sikhs, established Khalsa Panth i.e. a community of soldier saints. In India, if you want to witness this celebration, Punjab is the state you should head to. 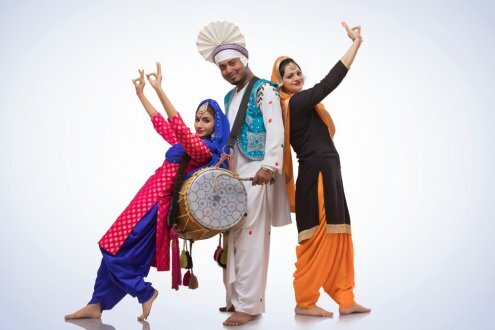 This is a festival full of energy and enthusiasm, and you would surely want to be a part of those energetic ‘Bhangra’ and ‘Gidda’ performances, the folk dance of Punjab. During this celebration, the Gurudwara’s are decked with lights and decorations, and in various places of Punjab, Baishakhi Melas (fairs) are organised too. 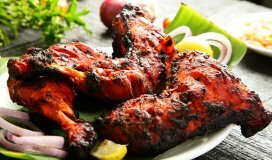 And while you are in Punjab, don’t miss tasting some of the delicious, lip-smacking, traditional delicacies of the state. The fortnight-long Tulip festival is one of the best festivals in April in India celebrated in the first and second week. It is organised at the famous Indira Gandhi Memorial Tulip Garden in Srinagar where more than 40 varieties of tulip flowers are displayed. The entire Jammu and Kashmir state seems to wear an ornament of freshness and hues during this celebration period. You must have seen the mesmerising Tulip gardens in movies, and here you can see them in reality during the Tulip festival. 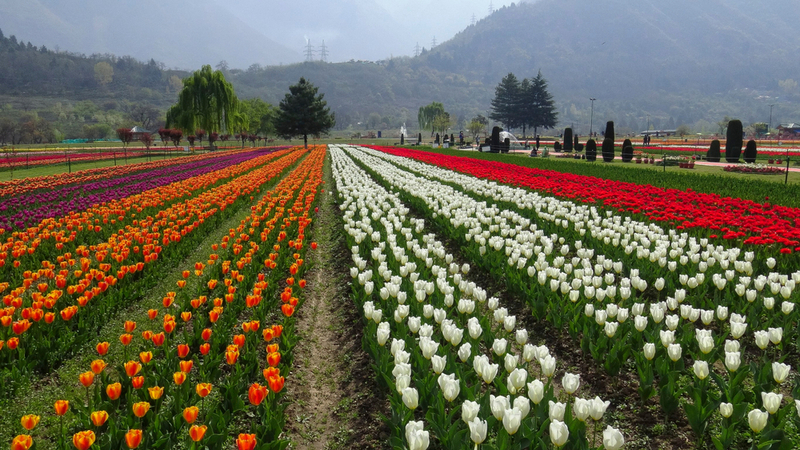 The Indira Gandhi Memorial Tulip Garden is located in the Zabarwan range of Kashmir, which is crowned with the title of Asia’s largest Tulip Flower Show. This is certainly one of the most interesting festivals in April in India. The Aoling Festival is celebrated by the Konyak tribe of Nagaland. Konyak is the native tribe of the state, has the history of being one of the terrible hunting tribes of Nagaland. This tribe is now settled down and is engaged in various agricultural practices. They celebrate Aoling Festival in the month of April after the completion of sowing of seeds. This festival also marks the settling down of the spring season and heralding of a new year filled with hopes and aspirations. The state can be reached by bus via the Brahmaputra or Barak Valley of Assam. Nenmara Vallangi Vela marks the celebration of paddy harvest and is celebrated in a grand manner in the state of Kerala. 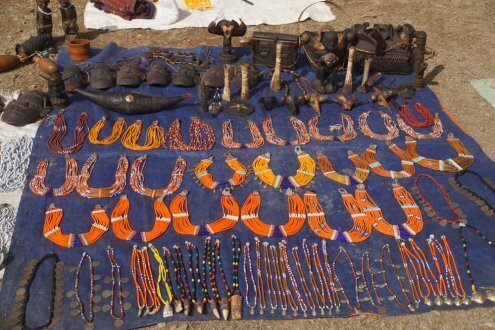 This festival showcases competitions which are conducted among two neighbouring villages like musical events and performance and various art forms that are traditionally ingrained in the population of the state. 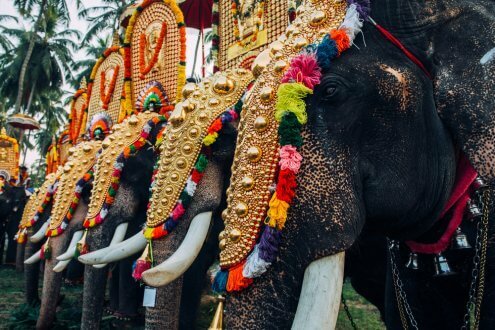 The festival is also famous for the procession of ornamented elephants. Visit Nellikulangara Bhagavathy temple, Nemmara in Palakkad district of Kerala to take part in this mega temple festival. Kerala is very well connected by air, road and rail, as it tops the list of India’s best tourist destinations. This is one of the country’s most beautiful and exquisite places to visit. You can certainly plan a trip in April to enjoy this festival. 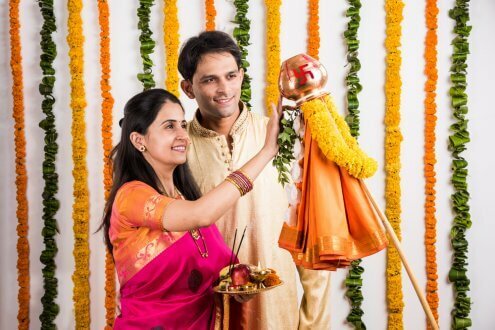 Gudi Padwa is celebrated in the Indian state of Maharashtra in April. In addition to other parts of the state, the dream city of Mumbai celebrates this festival with great zeal and joy. Visit Mumbai in April to see Gudi Padwa celebration at its best. Considered to be the Maharashtrian New Year, you will witness a sea of people parading across Mumbai on this day. 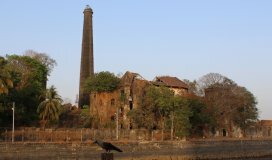 Without any doubt, this is one of the grandest and biggest festivals of India which is worth seeing at Girgaum in the southern part of Mumbai. People dress in their best attires and are in an enthusiastic mood. Mumbai Chattrapathi Shivaji Airport is the top entry point to India. Transport facility is very well maintained and moving across the whole city is not at all a matter of concern. There is no denying to the fact that India is a land of diversity and varied cultures. In addition to the Indian festivals in April listed above, there is a host of other festivals too. 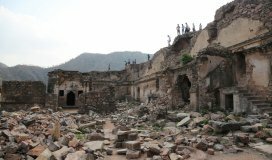 Missing out these festivals while in India in April is like remaining aloof from a significant aspect of India’s culture. 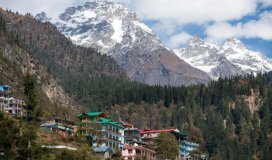 If you are planning a vacation in India during April, plan a trip to these states where you can have a glimpse of the best festivals in April in India.